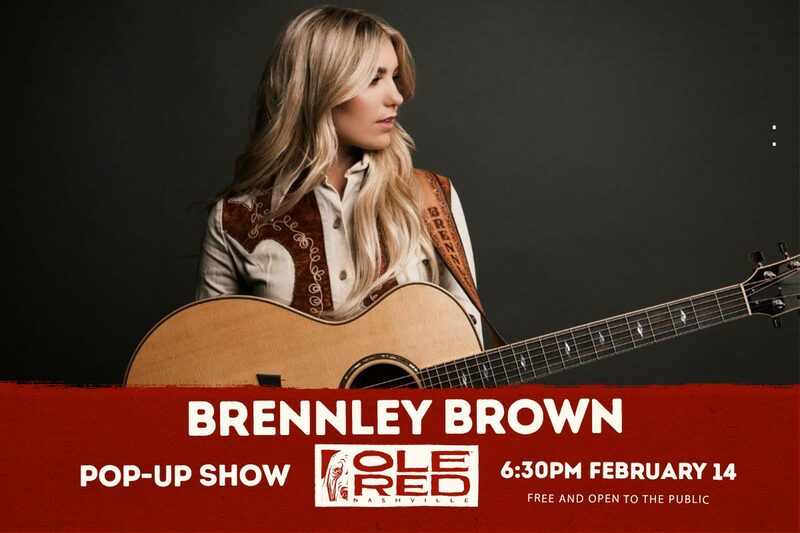 Brennley Brown, singer-songwriter and finalist on NBC’s The Voice Season 12, will be performing a FREE pop-up show at Ole Red Nashville on Thursday, February 14 from 6:30 – 8:00 PM CT.
Brennley Brown is a 17 year old, country singer-songwriter and finalist on Season 12 of The Voice as well as an accomplished actress. She was raised on classic country music from the likes of Willie Nelson and Dolly Parton and it shows in her emotional vocal performances. Brennley has shared the stage with Rascal Flatts, Dwight Yoakam, Hayley Orrantia, Danny Gokey, Keith Anderson, Jordin Sparks and more. She is working on her new album due out this spring.